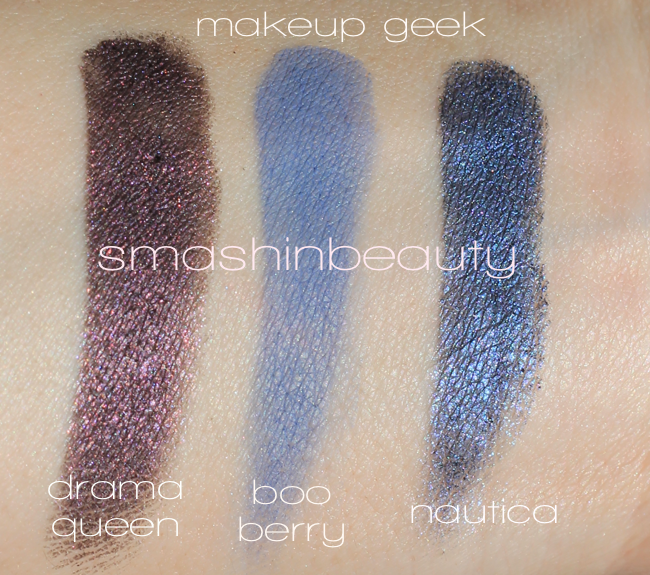 My favorite makeup geek eyeshadows from these swatches in Creme Brulee, Peach Smoothie, Prom Night, Drama Queen, Boo Berry, Nautica are honestly all of them. I love and constantly use creme brulee and prom night. They are honestly my most used shades, from this batch. I use them constantly on my clients. Make sure to come back and check my website regularly or subscribe to my RSS feed, newsletter or bookmark my website to check back for any future makeup geek coupon codes 2018. Creme Brulee (M) –medium sand color perfect for the crease. Prom Night (S) – Pale purple with hints of grey perfect for a light smokey eye and brown & green eyes. Ah Makeup Geek obozavam. Mislim sve izgleda prelepo i nadam se da cu jednog dana probati nesto njihovo. Posebno te odlicne senke i ruzeve. Jednog dana!! Ove koje si ti pokazala su divne.